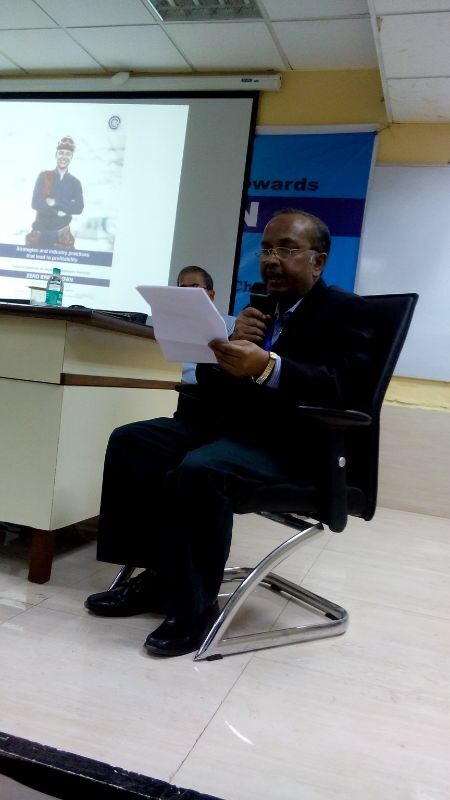 I have been invited by the Institution of Engineers, India, as a keynote speaker, for a seminar to be held in April 2015. The synopsis of the paper follows. In industries, throughout the world, for the last fifty years or so, vibration analysis and monitoring have been extensively used for Condition Based Maintenance (CBM). Proper application of CBM can result in 50% reduction in downtime and 25% reduction in maintenance costs from a plant’s previous level of performance. It has now reached the desired level of technical and professional maturity to be well poised to evolve to the next stage of its evolution, i.e. IOT (Internet of Things). However, in the meanwhile, “complexity” has also evolved to pose as a major challenge to industrial performance, productivity and profitability. 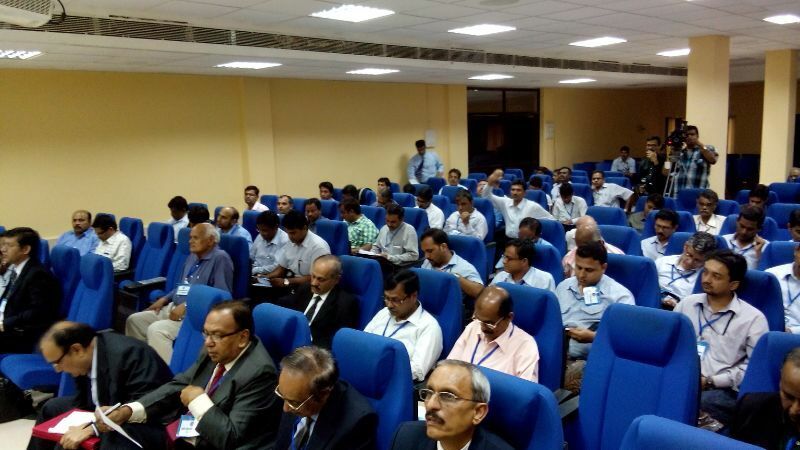 Both industrial equipment and systems have grown in complexity, which is often manifested as multiple interrelated problems of machine failures, quality, performance and wastage that are difficult to address by traditional tools and techniques that are presently being used in industries. This paper aims to highlight, through two case studies, the use of vibration analysis as one of the powerful tools to address such multiple problems in a simultaneous fashion, which solves multiple problems in one go rather than address each problem individually over a long period of time as done in the present. Present approaches to address prevalent “complexity” often turn out to be unsuccessful and frustrating for both engineers and managers. Application of vibration analysis along with appropriate understanding of design principles would help industries achieve dramatic improvement of performance, productivity and profitability with minimum interventions, time and resources as demonstrated by the cases. What is more — once such minimal changes are implemented industries continue to gain ongoing benefits for years to come. 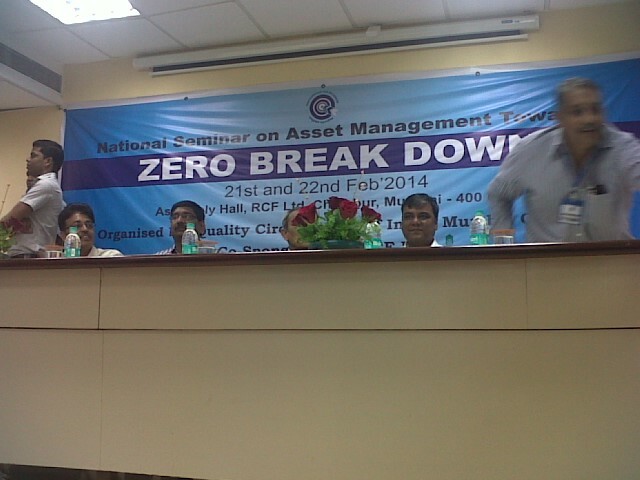 A national conference on Asset Management towards Zero Breakdown was organized by Quality Council Forum of India, Mumbai Chapter on 21st and 22nd of February 2014 at Mumbai. 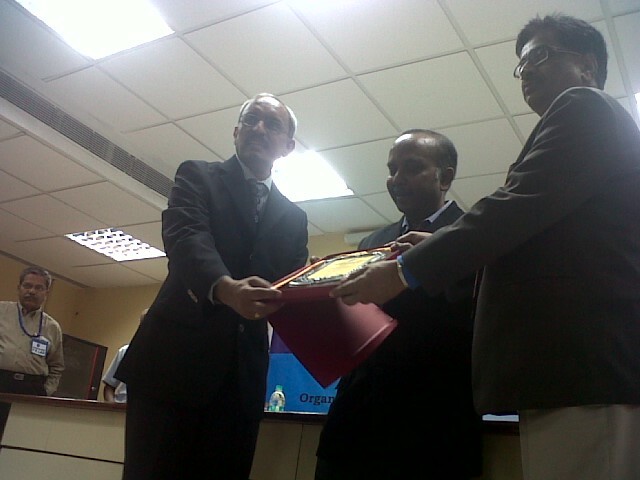 It was sponsored by Rashtriya Chemicals & Fertilizers Limited (RCF). I was invited to present a paper on achieving zero failures through minimal design intervention based on the Power of ‘See’ — the Nemetics Way. 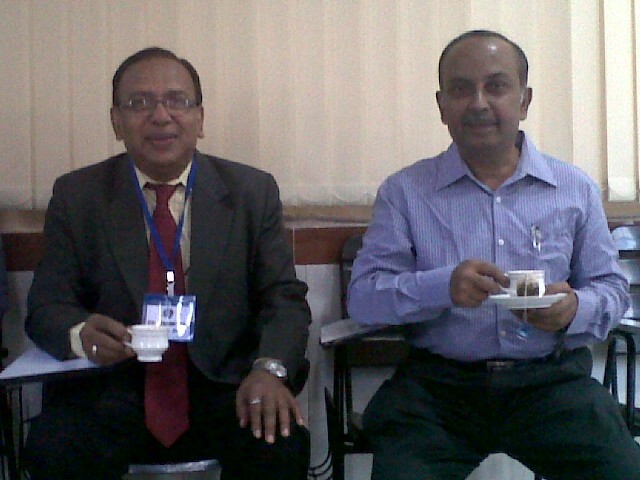 Having tea in the breakfast session of the conference with Mr. Ray (0n my right), a QCFI member. 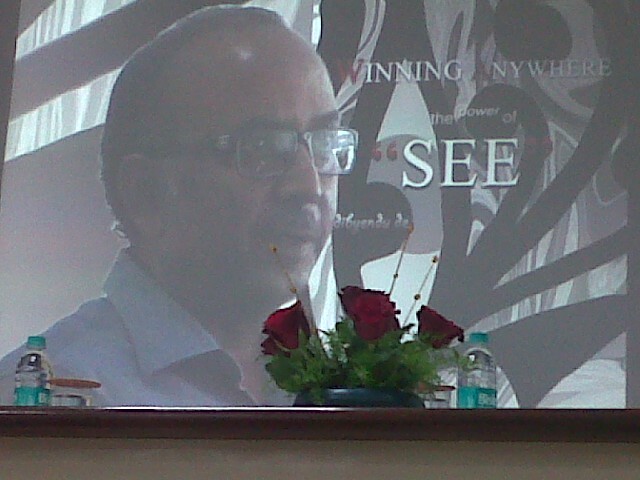 Opening my presentation — telling stories from my forthcoming book ‘Winning Anywhere – The Power of ‘See’ – the Nemetics Way. The author’s photograph that goes with the book, which incidentally is also my profile pic on twitter. Engaging delegates in dialogs over the stories told; allowing them to form their own perceptions and exchange those with others. It was about fun, flow, movement, improvisation and emotions. The parting message with the path — a) Listen to NEME stories b) Learn the NEME mantra c) Apply it and be free. As I rose to leave, a spontaneous standing ovation followed. This surprised & overwhelmed me. Offer: Buy one copy — get a big Thank You. Buy two copies — get a big Hug! 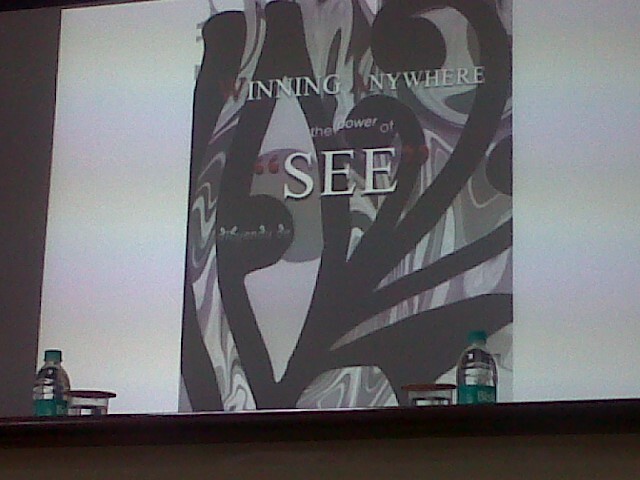 ‘Winning Anywhere – the Power of ‘See” is now available on Amazon.com http://tinyurl.com/o4q8kxq (paperback) and would soon be available on Flipkart as ebook. Receiving a fine memento in form of a plaque from Mr. Bharati, Chairman of QCFI, Mumbai Chapter and Mr. Potdar, Council Member of QCFI, Mumbai Chapter — two of the finest gentlemen I have met. They offered me a life membership of the Quality forum, which I gracefully accepted with a big Thank You. 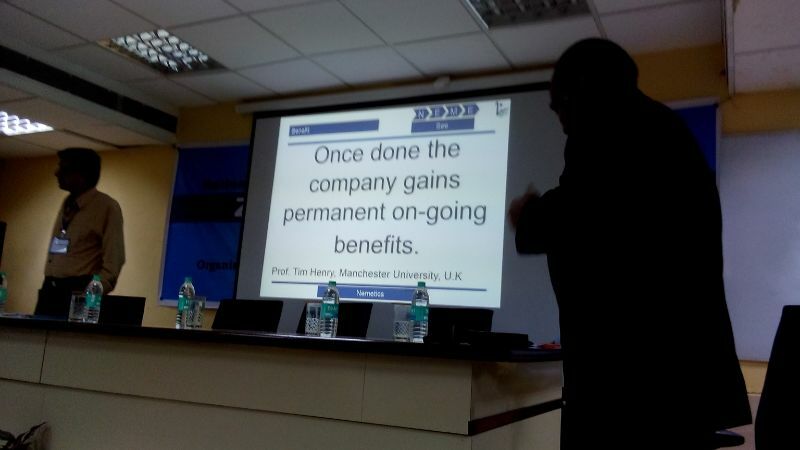 This was followed by my chairing a session on Reliability Management. 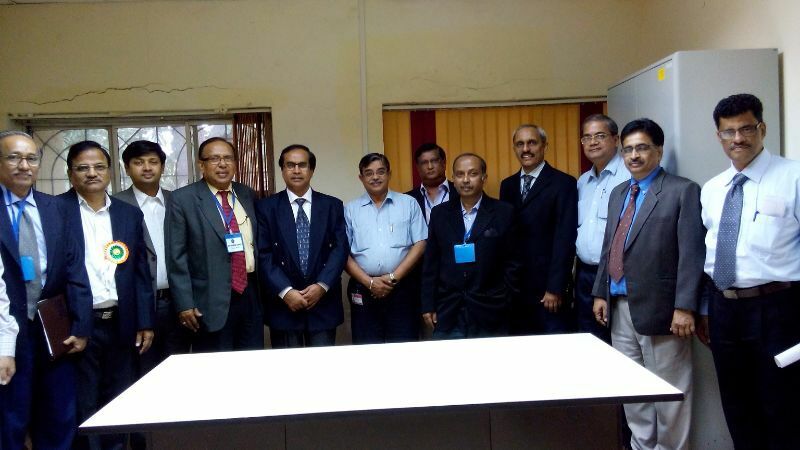 A group photograph with the Mr. Abir Banerjee, ED of RCF and other dignitaries. Open a cell for Nemetics Study with the aim of applying the Nemetic way to — a) Asset Management towards zero failures b) Leadership & Manufacturing Strategy c) Special skills Training in the Manufacturing sector d) Re-Design of Products, Machines, Process and Systems in the manufacturing sector. 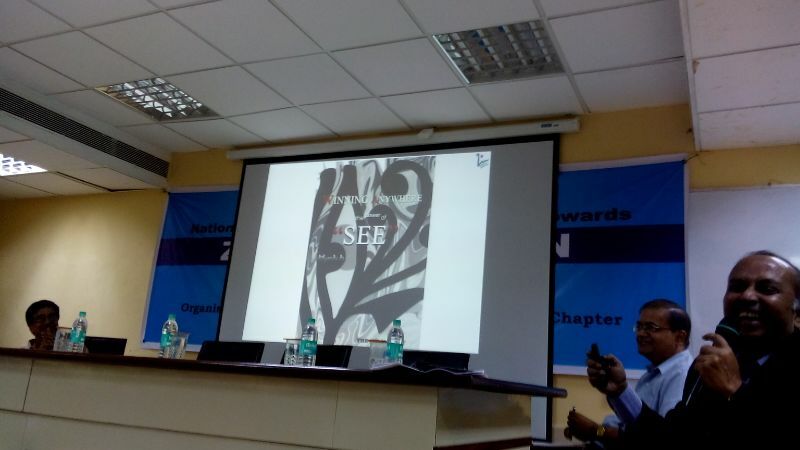 Acknowledgement: QCFI, Mumbai Chapter truly lived up to their reputation of quality. The whole conference went off without a glitch. It was seamlessly smooth and effective. The delegates left with hope and smiles on their faces. 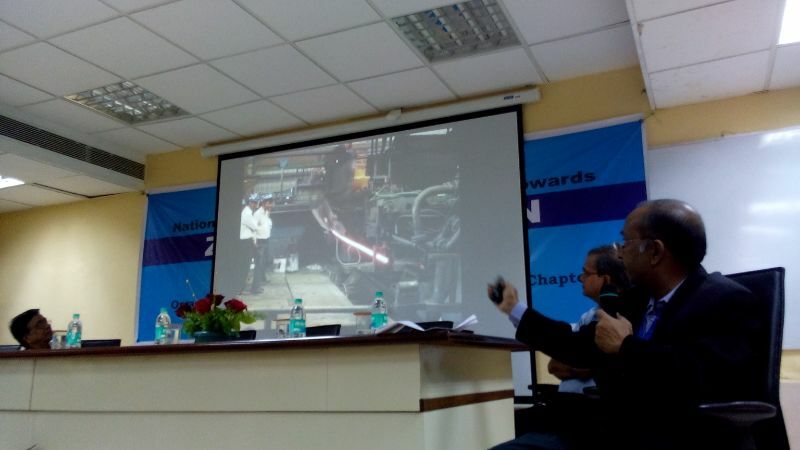 Photo credits: Mr. Ashesh Ghose, MD of Rollspack, Mumbai and Dr. Tarapada Pyne, VP Tech of JSW Ispat. 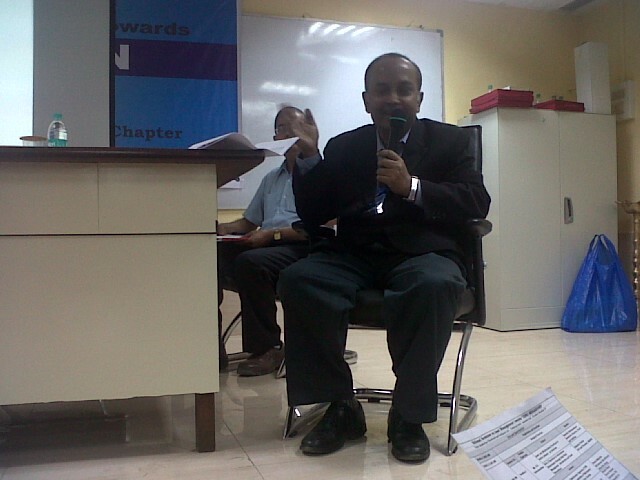 Few days back I was invited by an MNC to examine one of their manufacturing facilities. The manager of the shop showed me around. ‘These are some of the many improvements we have carried out in the facility’, he replied. ‘No’, he replied. ‘These improvements don’t seem to stick. It is quite frustrating. Why do you think it happens like this?’ he queried. Focus on things that don’t seem to change and focus on failures to permanently improve something that doesn’t change with changing circumstances. That is what sustainable improvement is all about, which in turn builds a resilient system’, I explained.